Don't Live With Knee Pain/Arthritis - Relieve It! Our knee rehabilitation program is an eight week program that is FDA approved. It is a non-operative treatment that includes rehabilitation and therapy modalities, therapeutic exercises and precise hyalgan lubricating knee injections that provide repair and relief for osteoarthritis knee patients. Are You A Candidate For The Knee Rehabilitation Program? Are your knees very stiff in the morning? Do you frequently take Ibuprofen or Aspirin for your knee pain? Do the activities you enjoy cause pain around your knees? If you answered YES to any of these questions, you may be a candidate for a successful, non-operative knee treatment program that has been effective in relieving knee pain. How Can Viscosupplementation Injections Prevent Surgery? FDA has officially approved viscosupplementation (Hyaluronan) for use in the treatment of Arthritis of the knee. Viscosupplementation bonds with naturally occurring joint fluid to create a lubricating and cushioning layer, it also reduces pain, inflammation and swelling of the joint, enabling you to perform everyday activities you enjoy! Adverse side effects are very rare. Published studies have proven, and our clinical experience has confirmed decreased pain associated with increased accuracy utilizing our method of injections performed under an advanced live motion GE LogiQ diagnostic ultrasound analysis. For best results, we recommend combining viscosupplementation injections with specifically designed rehabilitation and therapy program including modalities, manipulation, and therapeutic exercises provided by a licensed therapy assistant. 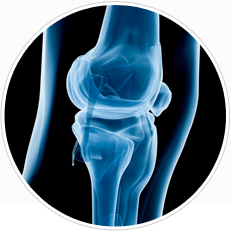 Viscosupplementation acts as a natural lubricant and shock absorber in the knee. Injections are visually guided by the most advanced, state or the art, musculoskeletal ultrasound unit in the world to ensure pinpoint accuracy with little to no pain. Pain Relief & Wellness Associates’ advanced pain-free rehabilitation program, enhances the treatment's lubricating and shock absorbing effects and promotes improve joint function and overall mobility. Why Choose Pain Relief & Wellness Associates? PR&WA is a one-of-a-kind integrated physical medicine facility, specializing in pain management and treatment of back, neck, knees and shoulders. We provide the diagnosis, treatment and relief you need, in one convenient stop. 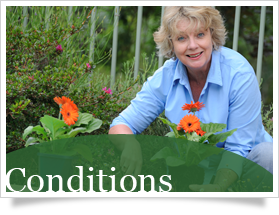 We welcome outside rehabilitation and therapy orders and physician referrals. We have one of the only knee surgery prevention programs in West Tennessee that combines viscosupplementation under an advanced ultrasound guidance and therapeutic rehabilitation with orthopedic manipulation. The program we offer has brought relief to hundreds of knee pain sufferers searching for an effective, less invasive and less painful alternative to knee replacement surgery. *Results may vary among patients due to individual health conditions. You have probably heard how we have helped a friend’s headaches or backaches, but it is perfectly normal for you to wonder whether our medical and chiropractic team can really help your particular problems.